Paris has its answer to Silicon Valley, with plans to convert an historic train station into the world's largest home for digital entrepreneurship. Architect Jean-Michel Wilmotte has been entrusted to rehabilitate the landmark building, situated on the southern bank of the river Seine, into a technological hub to accommodate 1,000 start-up companies by the year 2016. The new Halle Freyssinet building will be structured around modular container-based architecture, a nod to the cargo train heritage of the building, and will provide a range of business functions including meeting rooms, spacious co-working areas, a large auditorium, a fab-lab (workshop to create digital prototypes) and a 24-hour restaurant and bar. The ambitious venture is made possible through the Municipality of Paris with joint financing by Caisse des Dépôts et Consignations and French entrepreneur, Xavier Nile. If all goes to plan, the new digital incubator will strengthen France's presence and competitiveness in the tech enterprise market by cultivating an open space for entrepreneurs to grow and share ideas. "Paris is a magical city, a city that attracts people from around the world and where a real energy around digital is developing. But young companies that want to settle there are faced with a lack of affordable, practical and high-speed equipped places." Xavier Niel told the newspaper Journal du Dimanche. A team led by Bjarke Ingels Group (BIG) has won an international design completion for the new Museum of the Human Body in Montpellier, France. Recalling the forms of some of BIG’s other recent projects, most notably Blaavard Bunker Museum in Varde, Denmark (which has just received funding to move forward) and the 200-acre EuropaCity mega-development outside Paris, the 84,000 square foot museum will rise from the surrounding landscape with grass-capped roofs, and a seemingly continuous, curving glass façade. Set to open to the public in 2018, the museum will draw on Montpellier’s history of medicine and humanism as it explores the human body through artistic, scientific, and social perspectives with interactive exhibits, cultural programming, workshops, and performances. Located along the edge of Parc Georges Charpak in the city’s newly developed Parc Marianne area, the museum stitches the landscapes of park and city through eight, rounded, interconnected pavilions that, in the words of the architect, “weave together to for a unified institution–like individual fingers united together in mutual grip”. “Like the mixture of two incompatible substances–oil and vinegar–the urban pavement and the parks turf flow together in mutual embrace forming terraced pockets overlooking the park and elating islands above the city,” explained Ingels in a statement. 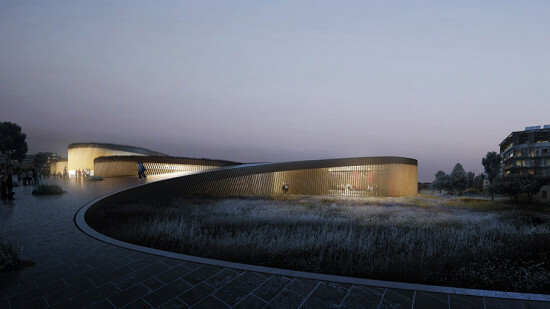 Above ground, alternating roof gardens of pavement and grass provide spaces for visitors to, in the increasingly strange words of the architect, “explore and express their bodies in various ways.” Meanwhile, a continuous, linear space below grade joins together the eight volumes, maximizing internal connections. To extend Ingels’ finger metaphor and provide appropriate day-lighting for the interior, the building’s glass facade is covered in GFRC-fabricated louvers of varying orientations that somewhat resemble the pattern of human fingerprints. Construction is slated to begin in 2016. Another week, another architect-designed liquor bottle. This time around, Paris-based architecture duo Jakob + MacFarlane—who made headlines over the summer with their tubular “Turbulances” project in France—have joined up with the manufacturer of their nation’s most popular pastis to create a pair chiseled, glass decanters. The set of slender, carved-glass carafes, commissioned by Pernod Ricard, is color-coded and sculpted to represent the "authenticity" of the beloved aperitif. 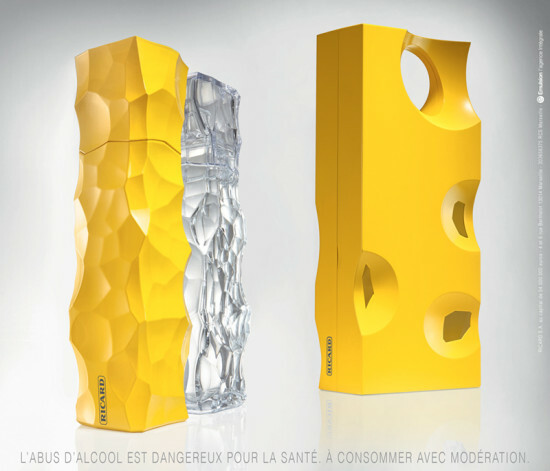 The pair—consisting of a clear, ice-like container for water and an opaque, yellow one for the liqueur—are packaged together in a punctured, swiss cheese–shaped box. The Fonds Régional d’Art Contemporain, known as the FRAC, will open its fourth location at the former Subsistances military site in the Centre Region on September 14th. The Orleans-based center dubbed "The Turbulences" is the brainchild of architecture duo, Jakob + MacFarlane, who have renovated the original U-shaped military base and created a bold prefabricated structure in the middle of the courtyard to house the public reception area, cafeteria, bookshop, and auditorium. 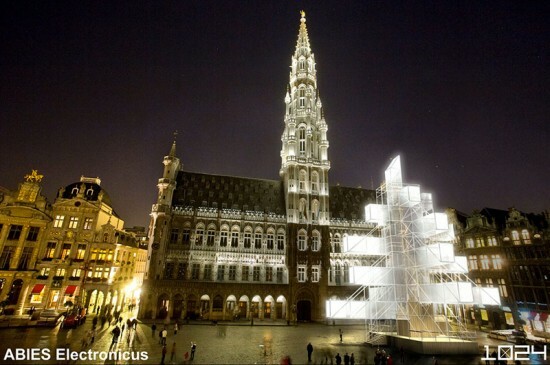 Made of aluminum, concrete and wood panels, the Turbulences will also display a "veil of light" on the exterior produced by artists Electronic Shadow (Niziha Mestaoui and Yacine Aït Kaci). The permanent and temporary exhibition galleries, in addition to a learning workshop area, will be located in the Subsistances. A new garden, "La faille/The Fault," designed by ruedurepos agency (Christophe Ponceau and Mélanie Drevet) will offer visitors an open green space with plantings and outfitted with Corten steel furniture. The FRAC, in its thirtieth year, emerged out of the decentralization of the country's collection (and production) of contemporary art and architecture to foster a more equitable and regional cultural program. The FRAC Centre's collection of architecture focuses on work from 1950s to present day, and consists of 15,000 architectural drawings, 800 models, and 600 artworks. The FRAC has embarked on an ambitious expansion plan: six regions are in the process of opening new centers, including Brittany (opened), Provence-Alpes-Côte d’Azur (opened), Franche-Comté (opened), Centre Region (opening in September), Nord-Pas de Calais (opening in September), and Basse-Normandie (to be completed in 2015). Architects have no work? Let them eat cake! 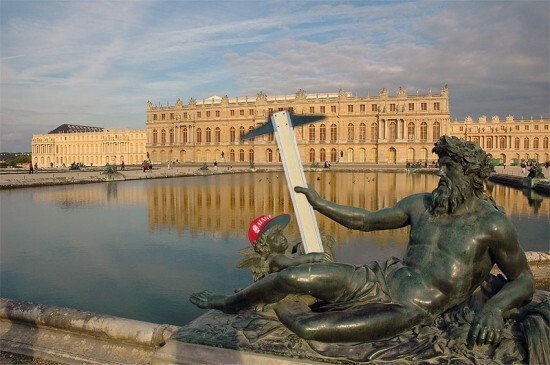 The planners of the AIA New York Chapter 2014 International Architecture and Design Summit have selected a pretty unusual conference venue: the Chateau of Versailles. Given the still sorry state of the economy, the choice left us scratching our head (under our powdered wig). Perhaps Rick Bell will point out the lessons in urban agriculture to be found in the Petit Trianon? Summit participants can display their work on easels in the Galeries Batailles, which will be handy if they want to do a little painting later en plein air. Apres tout, Giverny is less than an hour away by automobile, a bit longer by carriage though. Potential attendees are warned that the Plaza Anthénée will be closed for renovations. Sacrebleu! 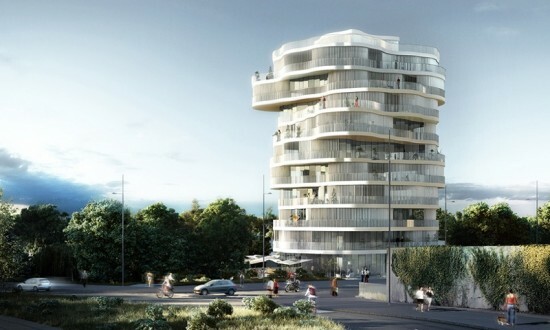 London-based Farshid Moussavi Architecture has won a competition to design a residential tower in Montpellier, France. The so-called "Lot 2" project will be the first of 12 new buildings in the Jardins de la Lironde brownfield development in the city’s Port Marianne district, with construction set to begin in 2014. The 11-story tower features curving, offset floor plates that wiggle out from the building’s core in a seemingly random pattern to create varied balconies and overhangs, and diverse floor plans. The winning design contains 36 apartments and a ground floor restaurant, and, responding to the competition brief, is meant to represent a “modern folly” in reference to 18th chateaux of Southern France. Iranian-born Farshid Moussavi has garnered praise in the past for her Yokohama International Ferry Terminal in Japan, as well as for the Museum of Contemporary Art in Cleveland, the firm's first project in the United States. Moussavi is currently at work on a variety of other projects, including residential complexes in London and Paris. The Bjarke Ingels Group, along with Tess, Transsolar, Base, Transitec, and Michel Forgue, have revealed their winning design for EuropaCity, a 200-acre urban cultural and commercial destination located between Paris and Roissy. Combining the forms of a dense European city with an open landscape, EuropaCity is set to be a retail, cultural, and leisure city of unprecedented scale. Modeled on the European urban experience and equipped with cutting edge green technologies, the development will serve as a retail and cultural hub for the region as well as a laboratory and showcase for sustainable design. The project will contain concert halls, spas, and retail oriented around an internal avenue and based on traditional European urban models, with integrated infrastructures for bicycles and electric-powered public transit. The entire project will be caped in a massive landscaped green roof, containing, of course, ski slopes, hiking trails, urban farming, rolling hills, sloping valleys, and unmatched views of the Paris skyline. The mega-development will be linked directly to the Paris Metro and the Charles de Gaul Airport. 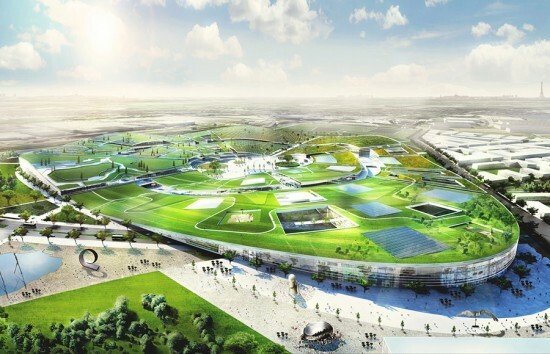 “EuropaCity will be an experimental hybrid between urbanism and landscape design,” said Bjark Ingels in a statement. “Center and periphery overlapped in simultaneous coexistence of a recreational open landscape of rolling hills superimposed on an urban neighborhood of walkable streets, plazas, and parks.” While EuropaCity will be fully powered through solar, biofuels, and geothermal, BIG hopes to reach for another level of sustainability with the project by crafting a high quality of public life within the area and providing solutions by which we can improve the quality of the urban environment. 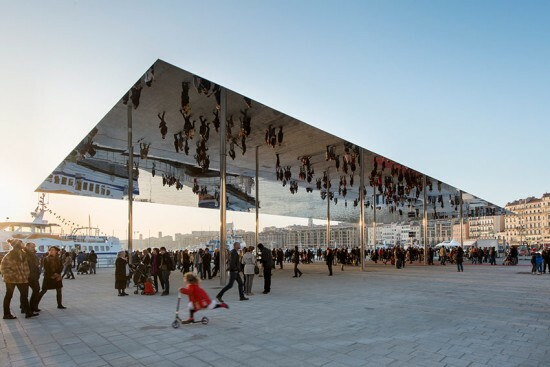 Norman Foster has hoisted a slender sheet of mirror-polished stainless steel above a plaza on the edge of Marseille's historic harbor, creating a new pavilion that reflects the activity of the bustling public space overhead. Foster + Partners' "Vieux Port" pavilion officially opened over the weekend in the French city. The pavilion roof measures 150 feet by 72 feet, tapering at its perimeter to create the illusion of impossible thinness and is is supported by eight thin stainless steel columns inset from the pavilion's edge. The project also enlarged the pedestrian area around the harbor and calls for traffic reductions in the area to improve pedestrian safety and restore connections with the surrounding city. Foster worked with landscape architect Michel Desvigne to create the surrounding plaza, paved in a light-colored granite that match the site's original limestone cobbles. Small wooden pavilions are placed around the plaza's edge and can be used for special events or markets. "I know the harbour at Marseille well and it is a truly grand space. This project is a great opportunity to enhance it using very simple means, to improve it with a large pavilion for events, for markets, for special occasions," Foster said in a statement. "Our approach has been to work with the climate, to create shade, but at the same time to respect the space of the harbour – just making it better." 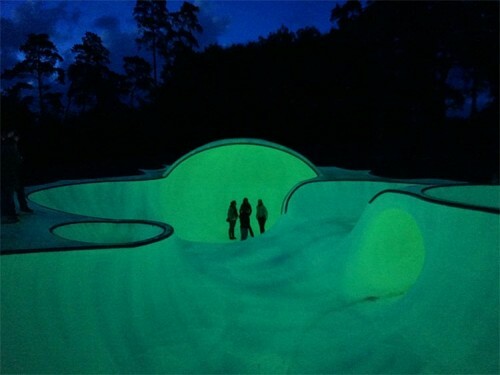 In the middle of a lightly populated island in the middle of a French reservoir—the Ile de Vassivière—an eerie green glow rises from the crest of a hill at dusk, indicating that you've found OTRO, a phosphorescent skate park of sinuous bowls and tunnels. Designed by artist Koo Jeong-A, L'Escaut Architectures, and skateboard consultants Brusk and Barricade, the project is described as "skateable artwork" and located near a large chateau housing the International Center of Art and Landscape, a light house designed by Aldo Rossi, and a humanoid piece of land art only visible from high above. OTRO was built just like any typical skate park, by shaping a web of rebar reinforcing around excavated bowls and carefully adding concrete on top. In this case, a layer of primer and a coating of phosphorescent paint was added to achieve the stunning effect. Koo Jeong-A first came to the island in 2007 for an exhibition and, according to L'Escaut's website, "had been impressed by the mysterious winter landscapes of the island and the atmosphere that arose from it...an unreal, phantasmagoric and powerful dreamscape belonging to the imaginary world of the artist." 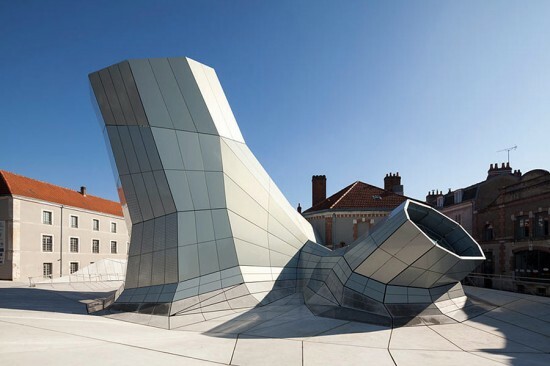 Bjarke Ingels has again thrown us for a loop, this time in Bordeaux, France. Ingels' firm BIG has revealed its latest competition-winner called the Maison de l’Économie Créative et de la Culture en Aquitaine, or, for the rest of us, MÉCA. 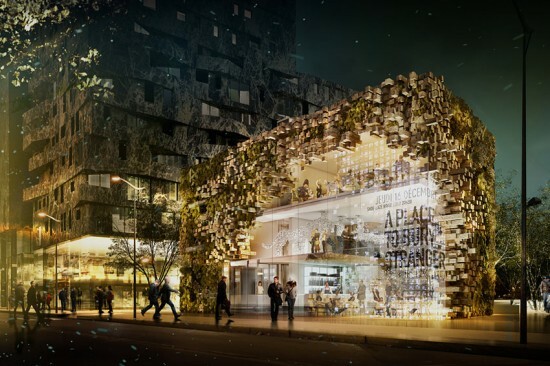 As AN noted in April, BIG won the commission working with Paris-based FREAKS freearchitects, beating out the likes of SANAA and Toulouse-based W-Architectures, but the renderings have been kept under wraps until now. Ingels' explained the design using his signature diagram-based narrative as an array of three visual and performing arts agencies arranged around a 120-foot-tall arch-shaped building. The architects approached the concept of the arch as a functional, programmatic, and symbolic guide in their understanding and design of the building. The arrangement begins (see diagrams in gallery below) along a flat line connecting three cultural institutions—OARA, FRAC, and ECLA—and then twists to create an asymmetrical geometry surrounding a void at the center of the arch housing an outdoor “urban room.” This central public space transitions between the building's interior and the public promenade weaving through the building. The archway, expressive of the building’s cultural function, also implies a connection between the building, its institutions, the waterfront, and the adjoining city of Bordeaux. The three institutions taking residence at the MÉCA each occupy different parts of the arch. Regional performing arts center OARA and the ECLA archives will fill the vertical posts while the regional visual arts center FRAC alights above with sunlit gallery space, including a large roof terrace. The entrance to all three buildings is below the “urban room” and accessible by large ramps leading visitors first underground before ascending either vertical pillar. A large rooftop terrace is also sliced into the sloping roof. The new center is clad in a regionally-traditional limestone with an intricately fenestrated facade adding rich texture and depth to the envelope. The $65.4 million project will be paid for with public funds and is estimated to be complete in 2015.